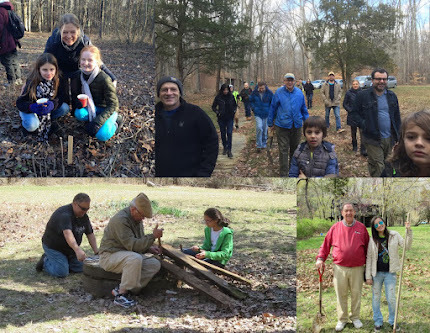 This Sunday at 1pm, we'll gather at Herrontown Woods to 1) be out in the woods on a brisk day and 2) learn something about the magnetite that's found in some of the boulders and streams there. All are welcome. A few years ago, one of our Friends of Herrontown Woods board members, geologist Jon Johnson, discovered that some of the boulders in Herrontown Woods are magnetic. He tested pebbles in the streambed and tracked the magnetism upstream to its source in some of the boulders on the ridge. It's a bit like prospecting for gold, though no equipment is needed other than a strong magnet. There's a previous post on the subject at this link.